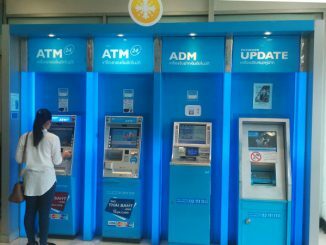 Since April 2009, almost all Thai banks charge an additional fee for withdrawing cash with foreign credit cards at Thai ATMs. This fee was initially 150 Baht, then increased to 180, 200 and in February 2017 it is already 220 Baht. This amount will be automatically added to the withdrawal amount. Example: You want to withdraw 10,000 Baht at the ATM and the bank will deduct 10,200 Baht from the account instead. Therefore, these additional 220, – Baht are usually not listed as additional fees in the final final bill of your credit card. This means that even such free credit cards are affected by this fee which otherwise offer free ATM transactions worldwide. At the same time, most Thai banks have reduced the maximum withdrawal amount from 30,000 or 40,000 Baht to 20,000 Baht per transaction. That means more transactions and more money for the Thai banks. If you live in Thailand and have to withdraw the equivalent of about 1000 Euros or dollars each month, you should ask yourself if it would not be cheaper to open a bank account in Thailand and transfer the money directly to it. Withdrawals with a domestic ATM card are usually free of charge at ATMs of your own bank. 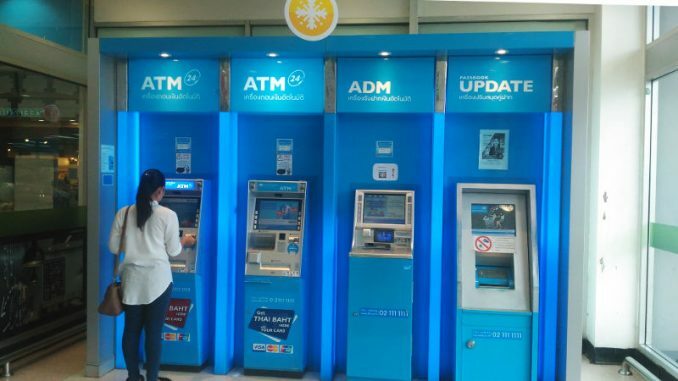 At the ATMs of other banks you pay a maximum of 10 Baht fees per transaction. Thai Bank Account as a Tourist? No Way!